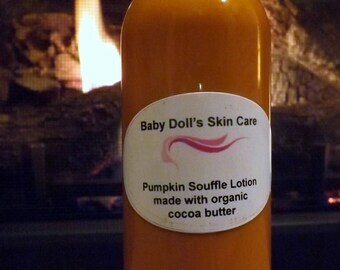 Announcement Baby Doll's Skin Care is personalized for all natural skin care made just for you. All of my products are handmade and chemical free. You deserve to feel good about yourself and your skin. Small batches are made and are tested to meet your needs. Baby Doll's Skin Care is personalized for all natural skin care made just for you. All of my products are handmade and chemical free. You deserve to feel good about yourself and your skin. Love it!!!!!! Use every nite and morning. I love this raw butter. Feels a little greasy at first but then a little while later, that feeling just goes away and you have beautiful softness. Nighty,Nite Night Cream Hydrating Beauty Cream made with Cocoa Butter and Mango Butter. Mango Butter and Shea Butter Lotion for a healthier younger looking skin. Making all natural skin care products was something new to me. But now thinking back in my teen age years I always have tried little home remedies. I would make oatmeal and egg face masks or steam my face to help tighten pores. Year ago living in Tennessee I was laid off from my job and unemployed. The lady that gave me a facial informed me that coffee grounds were a great exfoliate for the skin. So what did I do for entertainment while my husband was at work? My husband knew I had a passion of natural skin care products and had faith that I could make my own. He has always supported me in whatever I put my mind into doing. He said "You need to start your own business." He always called me Baby Doll. Together we decided Baby Doll's Skin Care would be my new business name. If it wasn't for my husband believing in me I wouldn't be where I am today. I am determined to keep on selling and provide the highest quality products for my customers. I love making my products and love making people feel good about themselves and their skin. I first started making a coffee facial & body scrub in 2010 and loved the way my skin felt afterwards. That inspired me to keep on going and create chemical free all natural skin care products. Thank you for choosing Baby Doll's Skin Care. My skin care products are handmade and all natural . I test each individual product before sending them out to you. I want to make sure that you are completely satisfied with my products. If they don't meet my standards then they won't meet yours. If you are not satisfied with my products within 15 days of purchase, please contact me as soon as possible. Provide me the reason for your dissatisfaction. Payment methods will go directly through Pay Pal. Allow 4 to 5 days before shipping. Baby Doll likes to make everything fresh for you.